The University of Prince Edward Island Faculty Association has filed an unfair labour practice complaint with the P.E.I. Labour Relations Board. The association alleges the UPEI Board of Governors has engaged in bad faith bargaining. The faculty group says it began bargaining with the Board of Governors in February, and claims the board has shown no interest in engaging in meaningful discussion of proposals. The faculty association says it's committed to negotiating new collective agreements as soon as the complaint has been resolved. 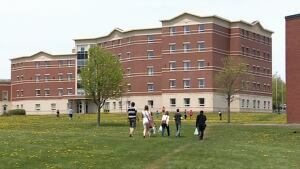 UPEI responded by posting a message on its website, announcing that the university had "today requested the appointment of a conciliator by the Minister of Justice and Public Safety." The university also acknowledged the complaint by the faculty association, and said it will be contesting it. The release went on to deny the allegation the Board of Governors had shown no interest in engaging in meaningful discussions, saying the university is "making every reasonable effort to conclude a collective agreement." Both sides have met a total of 10 times since the initial bargaining session Feb. 4, according to the release. The university said it hopes if a conciliator is appointed, bargaining can continue.